The last few days have been a bit of a whirlwind. We were away camping until last night, came home for a sleep and a shower and were straight out this morning for an exciting day at Drayton Manor Thomas Land. 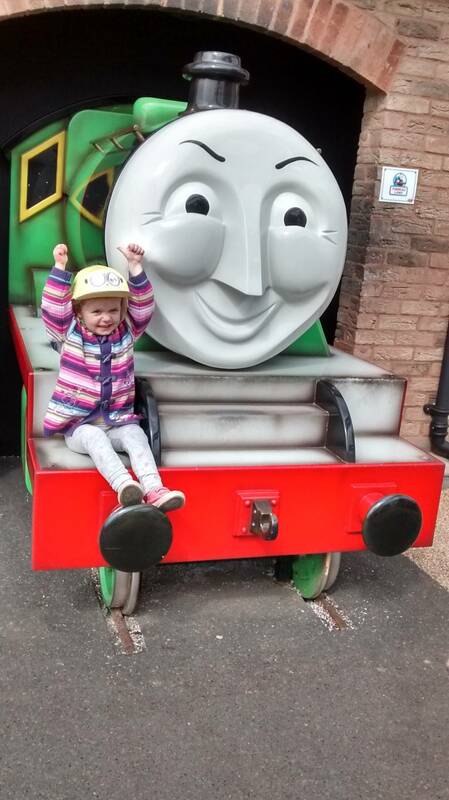 We went to Thomas Land last year and both girls loved it. So when we were invited to the grand opening of the Thomas Land expansion, we were delighted to say the least. On arrival, we were able to have a look around the new area and enjoy some popcorn, candy floss and ice cream while we listened to the brass band. Best breakfast ever. Then Sir Topham Hatt the Fat Controller officially opened the Thomas Land Expansion and we were allowed to have a go on all the new rides. Libby was allowed to choose what to go on first, and we were lucky enough to be some of the first riders on the newly relocated Jeremy Jet’s Flying Academy at Sodor Airport. Then we headed onto the other rides. Libby loves trains, so she was in her element. She is also a huge fan of boats, so the Captain’s Sea Adventure was brilliant fun. Libby and I went on this one together and she went on the new Flynn’s Fire and Rescue ride with hubby because Lia was too small for them both. 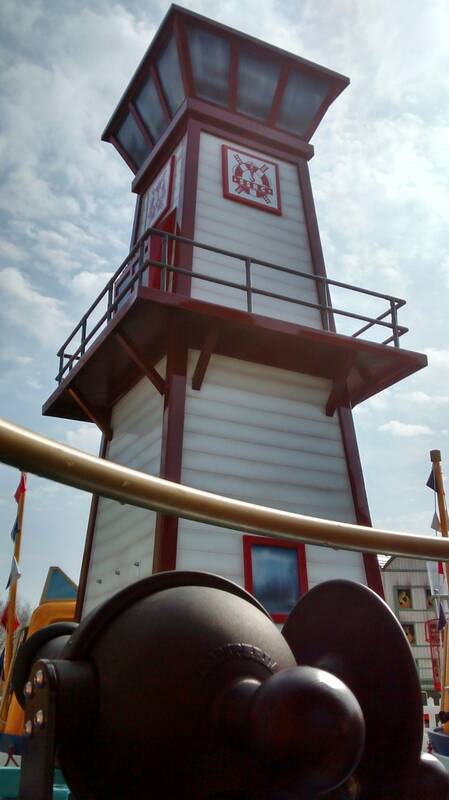 As well as the new rides, there are old fashioned fairground games like hook a duck. Libby was very pleased to win a Thomas cushion and has gone to sleep with it tonight. 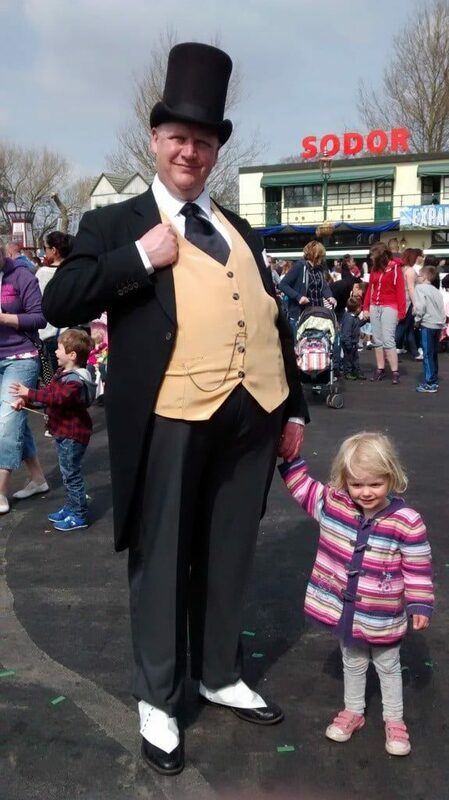 Another highlight was meeting the Fat Controller and having her photograph taken. I think she was a bit starstruck. The new rides were fabulous, I think I’d have to agree with Libby and say that the Captain’s Sea Adventure was my favourite. After that, we headed to the rest of Thomas Land to revisit some old favourites from our last trip. 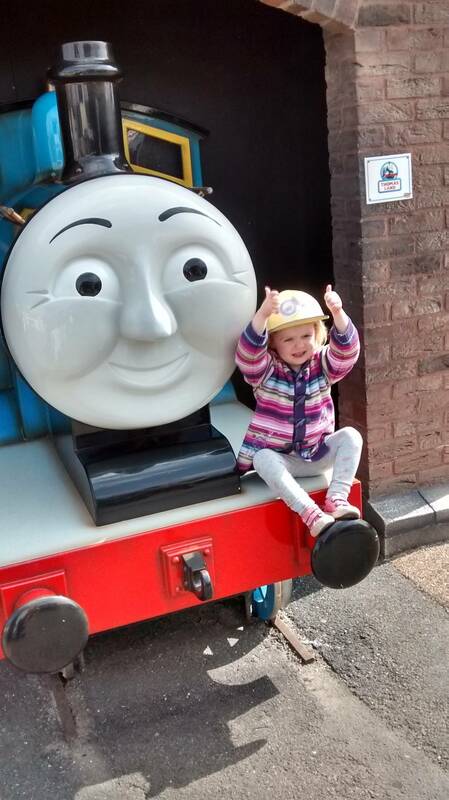 Libby is always delighted to see Thomas and his friends. 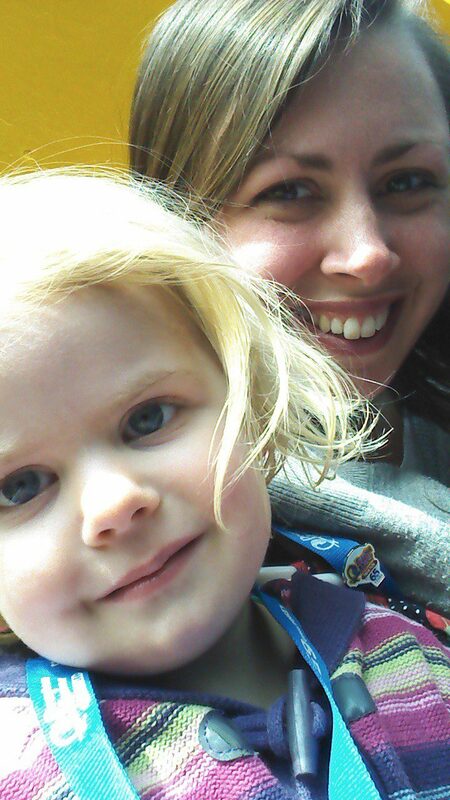 We went on various rides and also ventured into the soft play area this time, which Libby loved. Lia was a little bit outraged that she wasn’t big enough to go into the main soft play area, but she enjoyed the toddler’s corner. 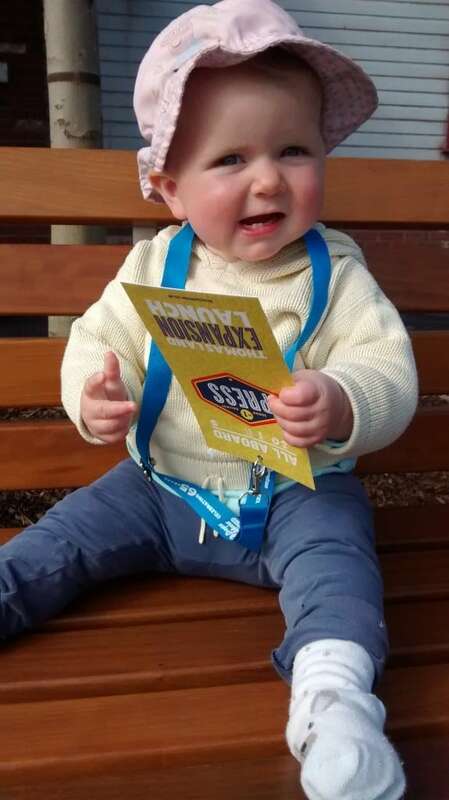 She also loved being allowed onto the rides, I think it’s great that babies are catered for. Lia was so excited to be able to go on the rides with her sister. The new Thomas Land is definitely worth a visit. We didn’t manage to see much of the rest of the park and now it seems there is so much to do there that a day just isn’t enough. 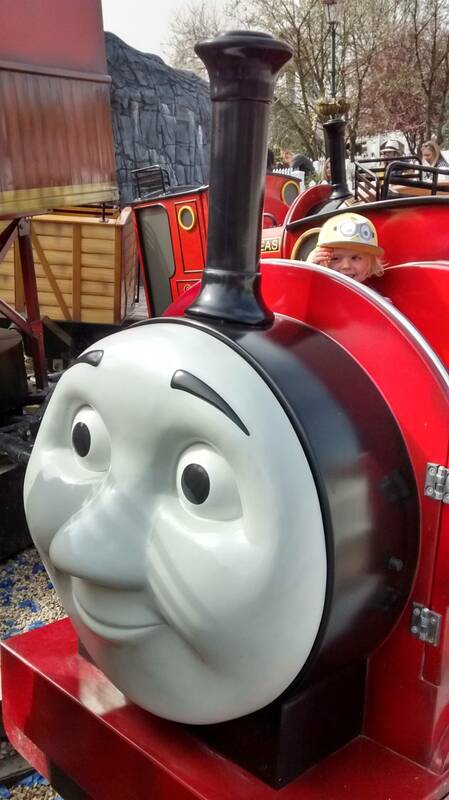 I’ve noticed that there is a Drayton Manor camp site, so after the success of our recent camping weekend, I’d be tempted to go and camp there so we could spend two full days making the most of the whole park. Happy to hear that your trip to Drayton Manor was fabulous. Lia and Libby look very happy to be there and the weather was perfect. 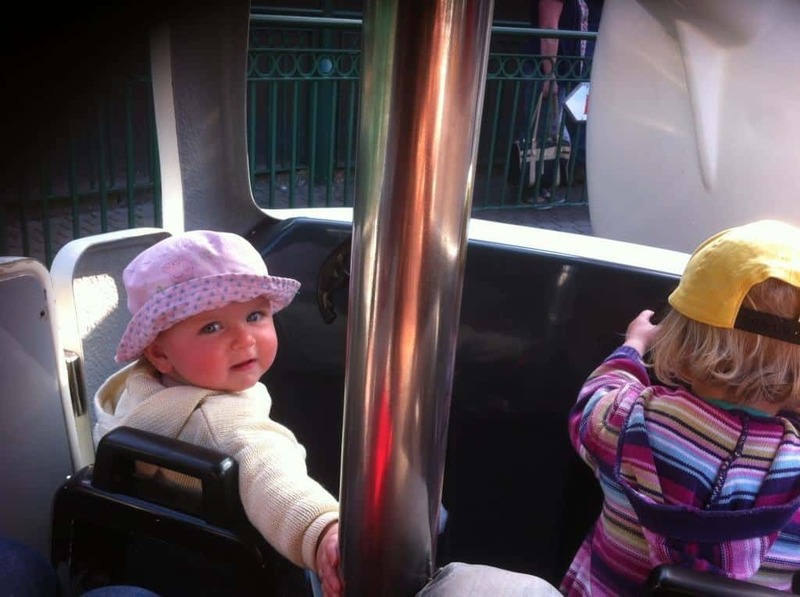 My daughters love going, I don’t get to see them for the entire day as they vanish and go on all the faster rides.